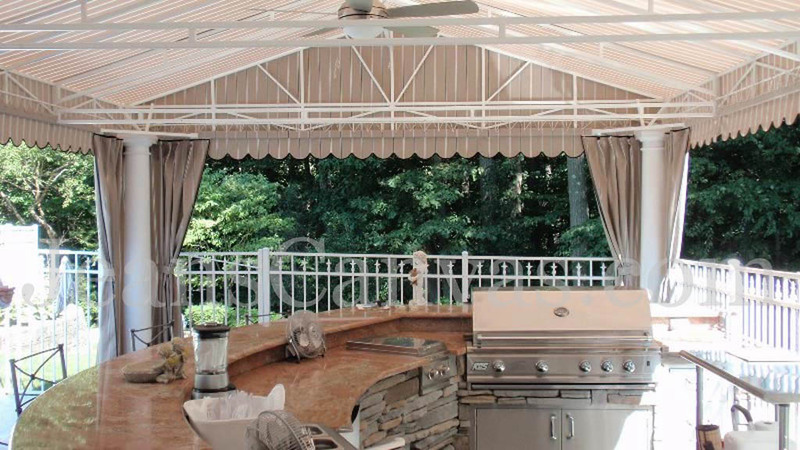 These patios and porches have been outfitted with three season enclosures and summer canopies over the kitchen/grill areas. This integrated design and professionall engineered installation both maximizes the home owners’ outdoor spaces and allows them to enjoy their properties virtually year round. 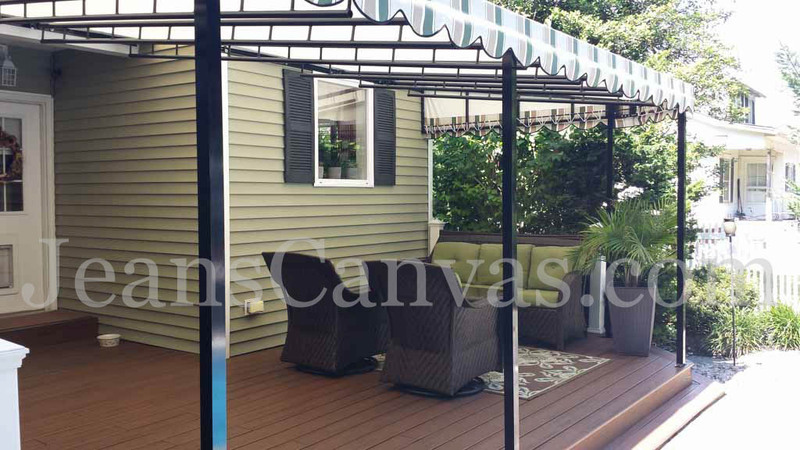 In each scenario, the canopy is painted steel framework covered with Sunbrella fabric. 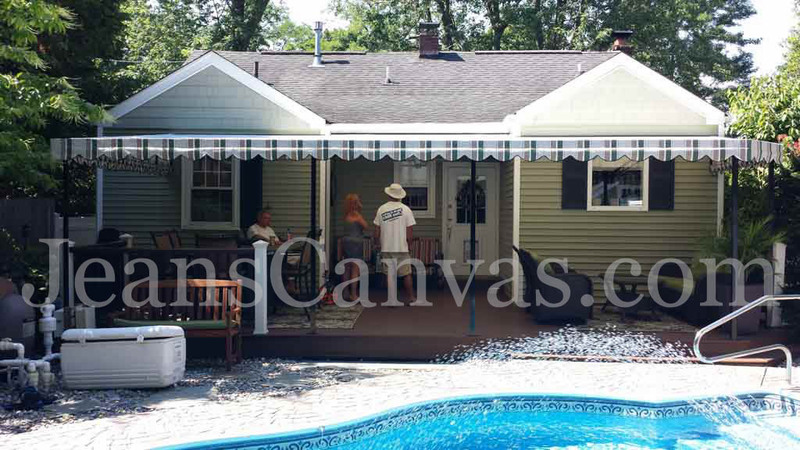 The drapes for the porch are matching Sunbrella installed in tracking, with zippers on the inside edges of the panels. The attached tie backs make for a decorative look when the panels are in an open and stowed position. When the panels are closed the porch becomes a climate controlled space that may be heated and cooled to comfortable temperatures. Jean's Canvas can design solutions for the simplest of problems or apply our expertise to something with a slightly larger scale. What can Jean's design for your home? Call our knowledgeable and helpful design team to find out. 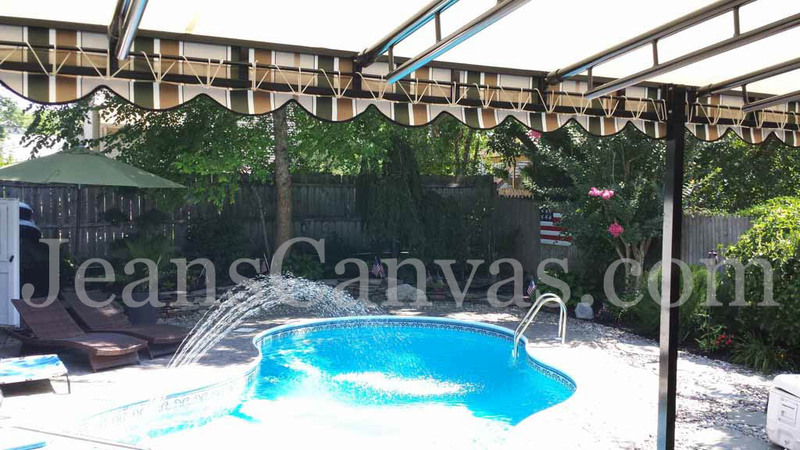 Jean's Canvas Products provides custom designed and expertly installed awnings and canopies for your home. 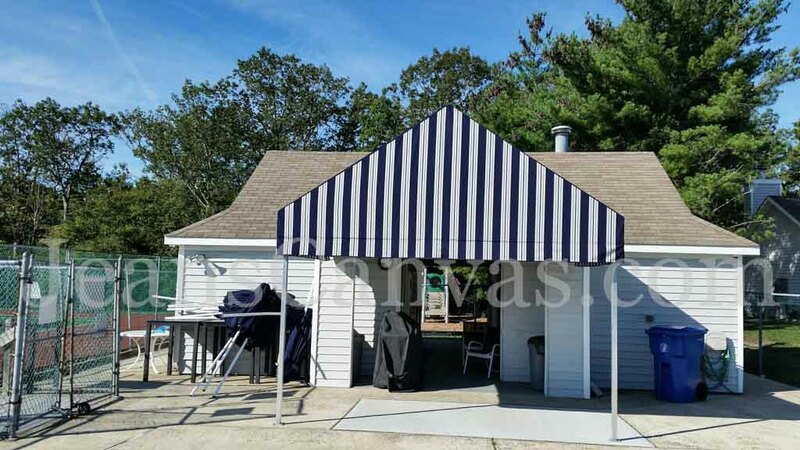 We will fabricate coordinated sets of awnings that will enhance both the beauty and the energy efficiency of your home. 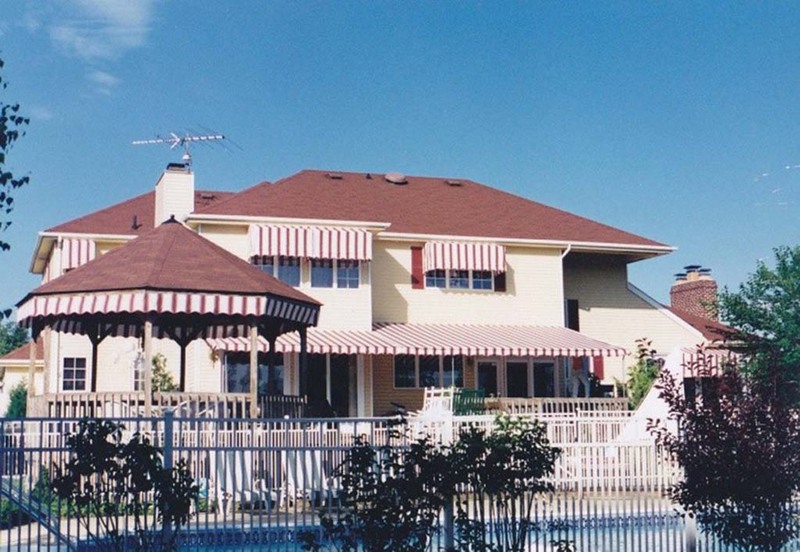 This home was outfitted with a full patio awning, box awnings over the casement windows and valences for the gazebo. 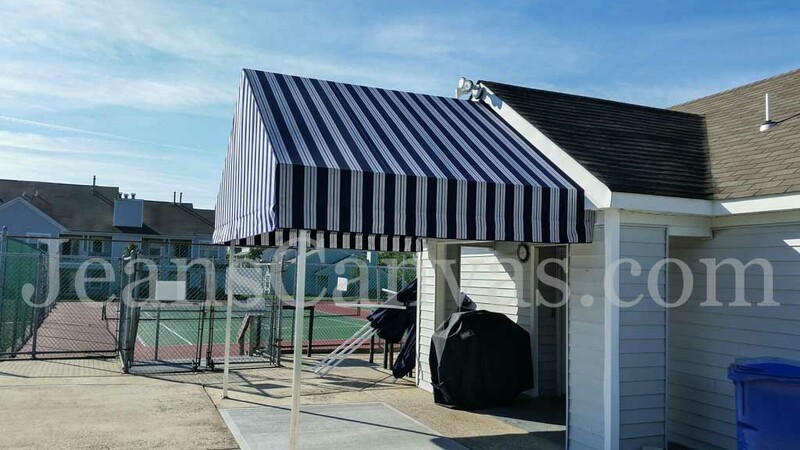 All of our custom awnings are fabricated from Sunbrella in colors and patterns of your choice and then installed to rigorous specifications. 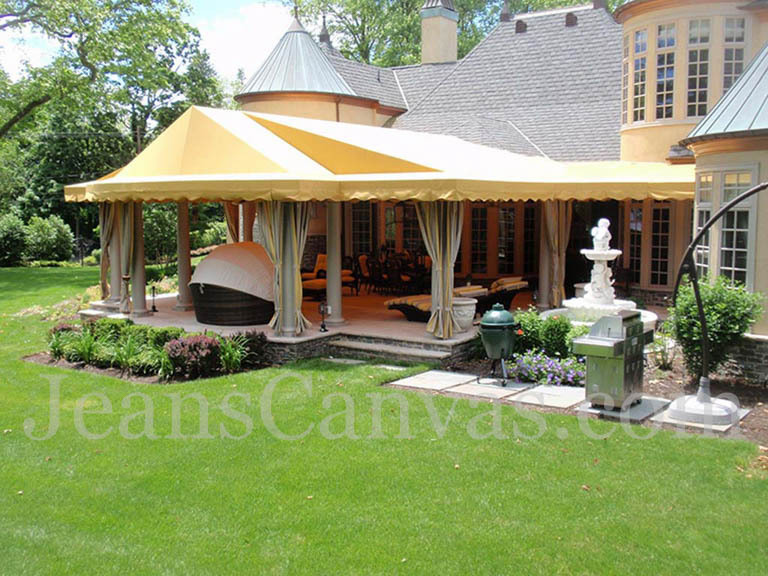 A few photos and measurements is all Jean's Canvas needs from you to provide a quote.